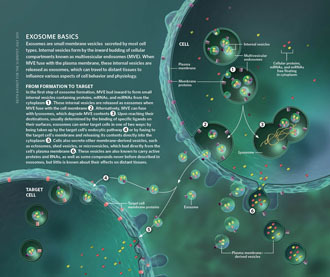 Exosomes are small membrane vesicles of endocytic origin that are secreted by most cells and detected in saliva. 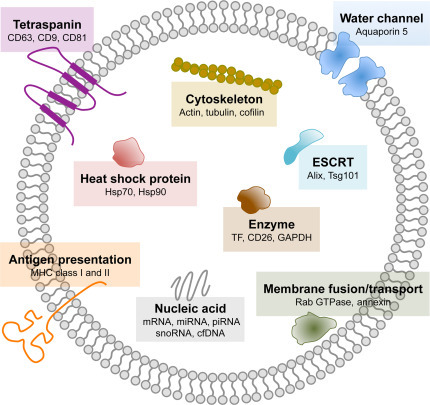 Pathophysiological roles for salivary exosomes are beginning to be recognized in diseases including cancer, highlighting potential biomarkers and biological functions. 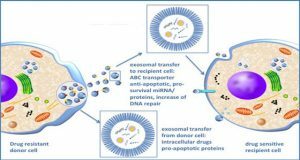 Since early detection of cancer is vital for successful treatment, salivary exosomes would be advantageous in achieving a better survival rate due to their ready availability and noninvasiveness. 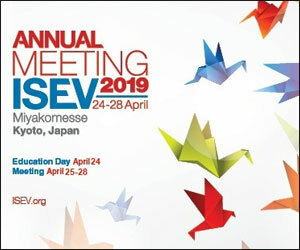 The use of salivary exosomes may therefore be promising in the accurate detection of premalignant lesions and early-stage cancers, also for better our understanding of the molecular basis of tumorigenesis. 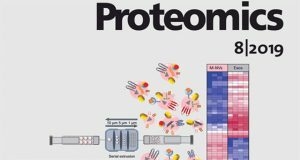 In this chapter, researchers from UCLA review our current knowledge of salivaomics, focusing on nucleic acids and proteins in saliva as potential cancer biomarkers. 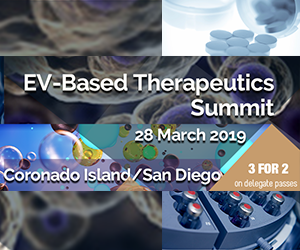 Since salivaomics is a rapidly evolving field, they hope to expand frameworks toward salivary exosomes, integrate new and existing information, and bridge salivaomics with other biomedical researches. 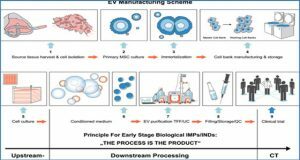 Furthermore, the researchers coin the term “saliva-exosomics” as the next-generation salivaomics. 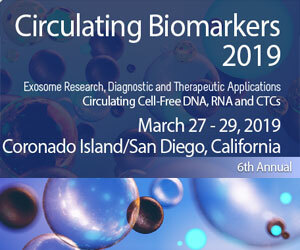 Their goal in this chapter is to provide the most updated information on cancer-derived exosomes in the saliva as natural carriers of biomarkers and signaling molecules. 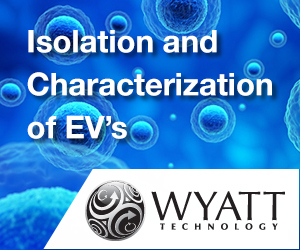 Major advances include definitive structure analysis and molecular characterization of salivary exosomes. 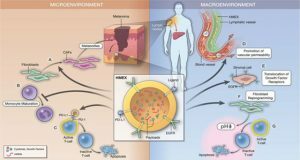 They also highlight the exosome biogenesis and cargo trafficking mechanisms in which recent animal studies have expanded our understanding of exosome-mediated transfer of cancer-derived products from distal tumor to salivary gland. 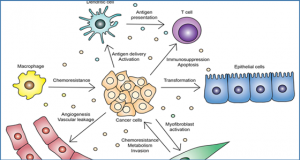 The potential roles of the salivary exosomes in cancer progression and immune surveillance are also addressed.